Booth number: 14039 Dahua Technology USA Inc. will display video surveillance solutions, access control and intercoms at ISC West. Q: What was the first year your company exhibited at ISC West? Please share your remembrances of that experience. The first year that we exhibited at ISC West was in 2012. That was before we had a local US operation. The market started to pick up our brand and was surprised that we offer extensive product portfolios. In 2014, we registered our US office and continued to participate in ISC West. Through our presence at the show, customers get to know us better and understand that we are not just a product manufacturer but can also support them from the service and operation standpoints. We are local here and help our customers to grow their business and increase their satisfaction with us. A trade show is not just for marketing; ensuring the best ROI requires work by several parties in an organization Q: What strategies do you use to get the most out of exhibiting at ISC West? A trade show is definitely a lot of investment within a few days. Therefore, how we create the best ROI and meet the right customers are very important. A trade show is not just for marketing; ensuring the best ROI requires work by several parties in an organization, including products and technical expertise as well as the sales team. We use an internal and highly coordinated plan with the team to get a better result. We make sure everyone is on the same page in terms of the products/technology we are going to present and have the people with the best knowledge to present to customers who visit our booth. Therefore, a highly coordinated team strategy is required. Q: How do you quantify your success at ISC West? What ROI do you receive from the show? Every company has their ways to follow up with the leads and evaluate the ROI from the show. The way we are using is to upload all our leads to our software and track all these leads afterwards. If they are not already buying from us, our goal is to convert them to become a registered dealer. Customers get to know us better and understand that we are not just a product manufacturer but can also support them from the service and operation standpoints If they are already our registered dealers, we seek to grow their business by using our latest technology solutions. In general, all marketing activities in business today require a clear ROI, and it has to tie into the sales numbers. From our experience, the ISC West show provides the best ROI among other shows in the North American market. Q: What company activities (outside the show floor) does your company organize each year? We have a partner event and invite our value-added dealers and partners. We’ve been hosting this event since 2015. Q: What sets ISC West apart from other trade shows on the calendar? As I mentioned, ISC West provides the highest ROI among other shows in the North America market. This show also brings many of our customers and partners to the city as well. I guess people value this opportunity to meet and discuss the technology, the industry trends, and the business to figure out how we can grow together. Other trade shows might be smaller than ISC West and targeted at different markets or address different scopes of the industry need. Every show we attend in 2019 plays a strategic role for us to communicate with the market and find the customers we are looking for. Booth number: 8045 Costar Technologies, Inc. is a public company that designs, develops, manufactures and distributes a full range of products for the video surveillance and machine vision markets. Costar consists of five operating companies: Arecont Vision Costar, CohuHD Costar, Costar Video Systems, Innotech, and IVS Imaging. The combined product portfolio consists of surveillance cameras, video surveillance systems, recorders, monitors, lenses, cables, accessories, and cloud-enabled services. For more about their presence at ISC West, we contacted Jeff Whitney, Vice President of Marketing for Arecont Vision Costar, a Costar Technologies, Inc. business unit. In 2005, the technology was extremely new and unproven to the typically risk-adverse security industry Q: What Was The First Year Your Company Exhibited At ISC West? Please Share Your Remembrances Of That Experience. One of our companies, Arecont Vision, exhibited in ISC West booth 17147 in 2005, a tiny space on which the hopes of the company rested. At the time AV was focused on pioneering IP megapixel surveillance cameras, but today we are part of Costar Technologies, offering cameras, VMSs, and recorders. In 2005, the technology was extremely new and unproven to the typically risk-adverse security industry. Talking with those who were with the company at time, the enthusiasm of the booth team reached the security dealers and systems integrators who were attending, helping bring megapixel cameras to a much wider audience. Q: What Strategies Do You Use To Get The Most Out Of Exhibiting At ISC West? The Costar companies have a very deep portfolio of products for the security market, and we bring our latest products from each business unit to ISC West. Attendees come in part to see the latest tech, and we drive our development cycle to have exciting new products to unveil on the show floor. 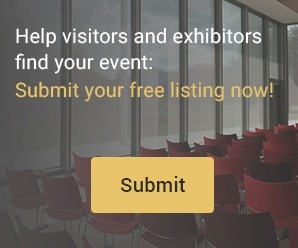 We also have meeting space in the booth to provide one-on-one time with our executives and sales team, while sponsoring free admission to the expo for all who want it. Q: How Do You Quantify Your Success At ISC West? What ROI Do You Receive From The Show? Unveiling our latest products and solutions to existing customers and partners is key to a successful event, and ISC West’s large impact on the industry ensures that many will attend. Perhaps even more important is informing those attending of the strength of the Costar product portfolio, including many Made in USA products and services that others don’t deliver. Both help to drive leads for projects in which we can really benefit our partners and end user customers. Each of our companies will participate in meetings, dinners, and events with our customers and partners throughout the days of the show Q: What Company Activities (Outside The Show Floor) Does Your Company Organize Each Year? A large show like ISC West brings many of the Costar business units together, providing an excellent opportunity to continue bonding as a team, as well as to participate in events beyond the show floor. Each of our companies will participate in meetings, dinners, and events with our customers and partners throughout the days of the show. Q: What Sets ISC West Apart From Other Trade Shows On The Calendar? ISC West brings a very large number of interested, security-focused systems integrators, dealers, consultants, and end user customers all to one place for a three-day expo. That audience and opportunity to share our message validates the investment any large show requires from Costar or others. While some industry events have struggled to find and maintain their audiences, ISC West continues to deliver quality, knowledgeable attendees from across the Americas and around the world. The show differs from other events we do, which are typically regional in attendance or focused more on specific vertical markets. Booth number: 12089 At this year's ISC West, VIVOTEK USA, Inc. will be showcasing their 180⁰/360⁰ product line plus other general form factors with new features and benefits, including a cybersecurity application embedded onto the cameras, crowd detection, smart motion detection, tailgating, and many more. In addition to IP cameras, VIVOTEK will display a comprehensive product line that also includes NVRs, video receivers, video servers, PoE switches, and video management software. Q: What Was The First Year Your Company Exhibited At ISC West? Please Share Your Remembrances Of That Experience. We have come a long way from a little-known surveillance manufacturer with a small booth size VIVOTEK has been an exhibitor at ISC West for many years now. Looking back, we have come a long way from a little-known surveillance manufacturer with a small booth size to one of the global providers in the security industry with a recognizable and trusted brand. Now, we are well-known in the industry and are proud of our accomplishments, but we feel greater things are still in front of us. Q: What Strategies Do You Use To Get The Most Out Of Exhibiting At ISC West? Each year, we want our booth to tell our stories – who we are, what we do and what we are capable of, and where we are heading. We do not want to just be another camera manufacturer who only promotes and displays products; we want to be the solution provider that customers are looking for. In addition, we have very knowledgeable sale managers who can assist visitors at our booth who are looking for surveillance, whether it’s an upgrade or a totally new solution. Q: How Do You Quantify Your Success At ISC West? What ROI Do You Receive From The Show? Gain industry knowledge and perspective as to where surveillance security industry is heading Like any trade show, it is difficult to quantify success. We attend ISC West to promote the VIVOTEK brand, meet and discuss with customers and gain industry knowledge and perspective as to where surveillance security industry is heading. If we achieve these, then ISC West is a success for us. Q: What Company Activities (Outside The Show Floor) Does Your Company Organize Each Year? Our main focus each year at ISC West has always been the interaction with customers and potential customers on the show floor. We pride ourselves in the products and technology we offer, and there aren’t any other trade shows in North America to showcase our capabilities than ISC West. Q: What Sets ISC West Apart From Other Trade Shows On The Calendar? ISC West is the industry standard of security trade shows in North America. Since we are a security surveillance manufacturer, ISC West is the one show that all manufacturers in this industry must attend. Booth number: 26041 March Networks is a global provider of video surveillance and video-based business intelligence solutions. Their product portfolio is end-to-end, ensuring that customers can deploy comprehensive solutions designed to help them address real business challenges and improve performance. At ISC West this year, March Networks will be showcasing new hosted services, new PTZ cameras and additional offerings. Attendees will also be encouraged to discover their solutions for banking, retail, cannabis and transportation – all of which help organizations transform video into business intelligence through the integration of surveillance video, analytics, and data from business systems and IoT devices. For more about their presence at ISC West, we contacted Peter Strom, President and CEO, March Networks. And not surprisingly, the technology was a lot less sophisticated compared to what we see today Q: What was the first year your company exhibited at ISC West? Please share your remembrances of that experience. I believe March Networks first exhibited at ISC West in 2001. I did not join the company until 2003, however I had been working in the industry for several years already, and can recall that the exhibitions back then had a much different feel. For one thing, there weren’t the very large companies we see today dominating a lot of the landscape. And not surprisingly, the technology was a lot less sophisticated compared to what we see today. Anyone who has worked in physical security for a long time can attest to the remarkable shift we have seen over the years, first with the transition from analog to IP video and all that entails, to security analytics, to today’s truly advanced business intelligence applications, hosted solutions, and artificial intelligence, computer vision and similar content analytics. Q: What strategies do you use to get the most out of exhibiting at ISC West? Our most effective strategy by far is scheduling our business meetings in advance of ISC West. Our sales team does a very good job of planning meetings with enterprise end users and channel partners ahead of time, so we’re hitting the ground running even before the doors open on Day 1 of the event. In addition, our channel partners are also very well organized, and know which organizations they are going to bring to our booth during ISC West. This pre-planning saves us a tremendous amount of time and ensures that we make the most of the opportunity to meet face-to-face with the many decision-makers who have traveled to the show. The quality and quantity of our planned business meetings is definitely how our company measures the success of our ISC West participation each year Q: How do you quantify your success at ISC West? What ROI do you receive from the show? The quality and quantity of our planned business meetings is definitely how our company measures the success of our ISC West participation each year. 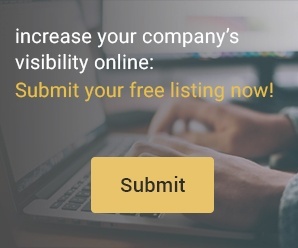 Of course we do track the number and quality of the leads we capture as well; however, our face-to-face meetings with end user organizations and channel partners are the primary measures of our ROI. Q: What company activities (outside the show floor) does your company organize each year? The activities we organize outside of the show floor vary from year to year. We have hosted customer appreciation events and roundtable events. We will typically organize an internal sales meeting as well to take advantage of the fact that many of our salespeople and product managers are in the same location. Q: What sets ISC West apart from other trade shows on the calendar? The timing of ISC West is good for most people, as it is still early enough in the budget cycle for most customers to leverage the show to help make decisions – particularly in our banking, retail, cannabis and transit target verticals. Holding the event consistently in Las Vegas is also beneficial, as it makes it easier for people and exhibitors to plan in advance. The city itself is well equipped to handle large exhibitions, offering everything from a central conference space at the Sands to the convenience of nearby accommodations, restaurants etc. Travel is typically convenient as well. In our opinion, ISC West is the premier industry show in North America and appears to be gaining momentum each year. Booth number: 18037 Hikvision will showcase a wide-range of its video surveillance solutions and security products such as its DarkFighterX dual-sensor with patented bi-spectral fusion technology for low light color imaging; thermal technology for critical perimeter applications, as well as preventive maintenance through temperature alarming and fire detection; specialty solutions for vertical markets including retail, education, gaming and commercial real estate with tailored products and valuable business intelligence analytics; TurboHD (HD over coax) for high resolution video using existing cabling; PanoVu and multi-sensor cameras. We will also feature Hikvision’s central management system, HikCentral, which provides a highly-scalable, reliable, and efficient centralized system management. We bring the latest and greatest in technology and a knowledgeable workforce to meet our customers and partners Q: What Was The First Year Your Company Exhibited At ISC West? Please Share Your Remembrances Of That Experience? Hikvision has exhibited at ISC West since 2006. Our presence has grown considerably since then. Each year we showcase Hikvision’s latest technologies and the evolution of the brand through ad campaigns: “Heartbeat of Security” (2016), “Art of Video Surveillance” (2017), and “Achieve Extraordinary” (2018). At ISC West, Hikvision enjoys re-connecting with existing customers and developing new partnerships. Over the years, Hikvision has demonstrated growth and strength within the industry and will continue to support its partners through the dedicated workforce that makes up Hikvision North America. Q: What Strategies Do You Use To Get The Most Out Of Exhibiting At ISC West? The strategy is simple. We bring the latest and greatest in technology and a knowledgeable workforce to meet our customers and partners. With our latest products displayed at our booth and our team of product managers, vertical-market leaders, and other technical gurus readily available in one place, it’s a great opportunity to connect with our current and future partners. Of course, we also have one-on-one client meetings in our meeting rooms throughout the show. And, we also host interactive experiences including trivia games, product demonstrations, and other technical presentations at the Thought Theater in our booth. Q: How Do You Quantify Your Success At ISC West? What ROI Do You Receive From The Show? Hikvision quantifies its success with a variety of metrics including traffic throughout the booth, attendance at educational sessions we host, the number of meetings we conduct with customers, and responses from our sales team on the engagement with integrators and end users after the show. We also measure the feedback we receive from our advertising campaigns whether it’s through our signage at the show or coverage in publications. Q: What Company Activities (Outside The Show Floor) Does Your Company Organize Each Year? We host a Hikvision Partner Celebration @ ISC West, an invitation-only event to celebrate Hikvision Dealer Partners, distribution, technology and design partners We host a Hikvision Partner Celebration @ ISC West, an invitation-only event to celebrate Hikvision Dealer Partners, distribution, technology and design partners, and end users. We consider it a fun way for us to say thank you to our valued partners in a casual setting. We’re also an enthusiastic sponsor of the Mission 500 Security 5/2K. Hikvision is fielding a running team, and we’ve begun our fundraising in earnest. Corporate social responsibility is part of our DNA at Hikvision, and the Security 5/2K is a wonderful way to join with our security industry colleagues to make a difference in kids’ lives and give back. Q: What Sets ISC West Apart From Other Trade Shows On The Calendar? Hikvision attends a variety of important conferences and trade shows throughout the year, but ISC West is the big show that attracts international attendees that everyone looks forward to. We wouldn’t miss it. Booth number: 20031 Pelco is highly invested in providing end-to-end video surveillance solutions for customers, so this priority will remain the same in 2019 and beyond Pelco’s priorities for 2019 at ISC West are informed by worldwide trends in the security industry. As a result, Pelco will be focusing on enhancing cloud connectivity and cybersecurity for their customers. In addition, VideoXpert is Pelco’s best-selling video management solution, so this system will be the primary solution focus moving forward. Pelco is also planning to build upon Pelco Professional Services, which will include VxCare, a three-tier service plan for VideoXpert owners available worldwide this May. Overall, Pelco is highly invested in providing end-to-end video surveillance solutions for customers, so this priority will remain the same in 2019 and beyond. Q: What Was The First Year Your Company Exhibited At ISC West? Please Share Your Remembrances Of That Experience. Pelco was established in its current form around the year 1987, we have been attending ISC West since at least then. One memory that stands out is having to make many coax cables connect with all the analog cameras and switchers. Q: What Strategies Do You Use To Get The Most Out Of Exhibiting At ISC West? We truly value the media relationships we’ve nurtured over the years. The security trade media specifically have played a pivotal role in sharing the latest news as it relates to our industry and ISC West. In addition to media relations, e-mail blasts and blogs are also key tools to build buzz around our exhibit. Lastly, we utilize a playbook and training protocols developed for our sales department. This information ultimately benefits our customers because they will receive accurate and up-to-date information about our video surveillance solutions. One way we quantify our success at ISC West is to keep track of the number of people attending our booth Q: How Do You Quantify Your Success At ISC West? What ROI Do You Receive From The Show? One way we quantify our success at ISC West is to keep track of the number of people attending our booth. The show is considered the premier event in North American security so a major way we measure our ROI is through initial or final meetings with customers and partners. These initial connections can happen on or near the show floor. In addition, our product managers and engineers create a dialog with our customers so they can determine the transferrable value of a potential solution, which in turn influences our product world map. Q: What Company Activities (Outside The Show Floor) Does Your Company Organize Each Year? We have participated in the Security 5K in support of Mission 500. Additionally, we sometimes host customers at local end user sites so they get to see the system in operation. Q: What Sets ISC West Apart From Other Trade Shows On The Calendar? It’s the best-attended security conference in North America by far, attracting both domestic and international visitors. Artificial intelligence allows machines to do jobs previously done by people. When it comes to security and surveillance, this technology allows cameras and control room equipment to identify a wide range of threats automatically and in real time across hundreds or even thousands of cameras – allowing security teams to take immediate action to protect people and assets. AI Technology And Surveillance Solutions Artificial Intelligence technology built into surveillance solutions help organizations optimize their security Video surveillance cameras are the electronic eyes of any security operation. In the past, human supervision was needed to make sense of the images captured, and to assess whether certain events posed a security risk or not. With some organizations using hundreds or even thousands of cameras to protect their people and assets, manual review of footage is simply impossible – potentially leaving them vulnerable to security breaches. Advanced Artificial Intelligence technology built into surveillance solutions can help organizations overcome this challenge and optimize their security. This means cameras, control-room equipment and back-end infrastructure can now ‘learn’ about potential threats for themselves by recognizing people, vehicles and even behaviors. Detection And Prevention The manual interventions needed with traditional security systems mean that teams were frequently reacting to breaches that had already happened. Artificial intelligence changes all this by recognizing potential threats before they impact company’s people or assets – allowing security teams to react immediately to neutralise any potential threat. Artificial intelligence solutions can automatically trigger alerts when a person appears in a restricted area For example, artificial Intelligence solutions can automatically trigger alerts when a person appears in a restricted area, or when a vehicle with a blacklisted number plate enters a site. With alerts delivered in real time, teams can identify and react to security threats and protect people and assets more effectively. And because alerts are automated, potential threats are hardly missed or overlooked. How Does Artificial Intelligence Work? Artificial intelligence systems become more intelligent over time, building databases of potential threats and reacting to new events accordingly. This allows systems to ‘think for themselves’ and to alert teams of any suspicious events or people who are caught on camera. Artificial intelligence technologies use advanced algorithms based on Deep Learning to distinguish between different kinds of security events and threats. Technologies incorporated into the Hikvision portfolio include: Facial recognition which allows law enforcement personnel to identify suspects and commercial teams to identify VIP customers in real time. Vehicle identification which can be used to identify vehicle number plates and recognize different types of vehicles (even down to make and model), or to trigger alerts when vehicles enter restricted areas. Perimeter protection which helps organizations to identify real threats by distinguishing people and vehicles from other moving objects and keeping false alarms to a minimum. Business intelligence which employs people counting, queue detection, and heat mapping technologies, so that organizations can enhance operational efficiency by making use of the data report. Increasing Commercial Success Artificial intelligence isn’t just useful for identifying security threats – although this is a key strength of the technology. It can also help organizations increase their competitiveness and commercial success. For example, VIP customers who opt to participate in special marketing promotions or other incentives can be identified so staff can provide the right kind of service at the right time. This gives organizations the opportunity to personalize the service experience, foster loyalty and maximize customer lifetime revenues. Artificial Intelligence can help organizations to better understand customers and meet their needs more effectively In the same way, artificial Intelligence can help organizations to better understand customers and meet their needs more effectively – leading to more commercial opportunities. One feature – called People Counting – allows stores and commercial centers to map footfall at peak times, ensuring that staffing is optimized to meet demand. At the same time, stores can see which areas of the building customers visit most and adjust their merchandising and product positioning accordingly to maximize the sales opportunities. Artificial Intelligence At Hikvision Hikvision’s family of artificial intelligence products include the DeepinView network cameras and DeepinMind NVRs. The products help to tackle security with facial recognition; monitoring and counting of people; and recognition and detection of vehicles, to name a few. These features all depend on artificial intelligence technology to recognize, classify and respond to security threats. This article was written by Hikvision. Johnson Controls recently unveiled the findings of its 2018 Energy Efficiency Indicator (EEI) survey that examined the current and planned investments and key drivers to improve energy efficiency and building systems integration in facilities. Systems integration was identified as one of the top technologies expected to have the biggest impact on the implementation in smart buildings over the next five years, with respondents planning to invest in security, fire and life-safety integrations more so than any other systems integration in the next year. As advanced, connected technologies drive the evolution of smart buildings, security and safety technologies are at the center of more intelligent strategies as they attribute to overall building operations and efficiencies. SecurityInformed.com spoke with Johnson Controls, Building Solutions, North America, VP of Marketing, Hank Monaco, and Senior National Director of Municipal Infrastructure and Smart Cities, Lisa Brown, about the results of the study, smart technology investments and the benefits of a holistic building strategy that integrates security and fire and life-safety systems with core building systems. Q: What is the most striking result from the survey, and what does it mean in the context of a building’s safety and security systems? The results show an increased understanding about the value of integrating safety and security systems with other building systems Hank Monaco: Investment in building system integration increased 23 percent in 2019 compared to 2018, the largest increase of any measure in the survey. When respondents were asked more specifically what systems they we planning to invest in over the next year, fire and life safety integration (61%) and security system integration (58%) were the top two priorities for organizations. The results show an increased understanding about the value of integrating safety and security systems with other building systems to improve overall operations and bolster capabilities beyond the intended function of an individual system. Q: The survey covers integration of fire, life safety and security systems as part of "smart building" systems. How do smarter buildings increase the effectiveness of security and life safety systems? Hank Monaco: A true “smart building” integrates all building systems – security, fire and life-safety, HVAC, lighting etc. – to create a connected, digital infrastructure that enables individual technologies to be more intelligent and perform more advanced functions beyond what they can do on their own. For example, when sensors and video surveillance are integrated with lighting systems, if abnormal activity is detected on the building premise, key stakeholders can be automatically alerted to increase emergency response time. With integrated video surveillance, they also gain the ability to access surveillance footage remotely to assess the situation. When sensors and video surveillance are integrated with lighting systems abnormal activity on the premise can automatically be detected Q: How can integrated security and life safety systems contribute to greater energy efficiency in a smart building environment? Hank Monaco: Security, fire and life-safety systems can help to inform other building systems about how a facility is used, high-trafficked areas and the flow of occupants within a building. Integrated building solutions produce a myriad of data that can be leveraged to increase operational efficiencies. From an energy efficiency standpoint, actionable insights are particularly useful for areas that are not frequently occupied or off-peak hours as you wouldn’t want to heat or cool an entire building for just one person coming in on the weekend. When video surveillance is integrated with HVAC and lighting systems, it can monitor occupancy in a room or hallway. The video analytics can then control the dimming of lights and the temperature depending on occupant levels in a specific vicinity. Similarly, when access control systems are integrated with these same systems, once a card is presented to the reader, it can signal the lights or HVAC system to turn on. In this example, systems integration can ultimately help enable energy savings in the long run. Security and life safety systems contribute to help enable greater energy efficiency and energy savings in the long run Q: What other benefits of integration are there (beyond the core security and life safety functions)? Hank Monaco: Beyond increased security, fire and life-safety functions, the benefits of systems integration include: Increased data and analytics to garner a holistic, streamlined understanding of how systems function and how to improve productivity Ability to track usage to increase efficiency and reduce operational costs Enhanced occupant experience and comfort Increased productivity and workflow to support business objectives Smart-ready, connected environment that can support future technology advancements Q: What lesson or action point should a building owner/operator take from the survey? How can the owner of an existing building leverage the benefits of the smart building environment incrementally and absent a complete overhaul? Lisa Brown: Johnson Controls Energy Efficiency Indicator found that 77% of organizations plan to make investments in energy efficiency and smarter building technology this year. This percentage demonstrates an increased understanding of the benefits of smart buildings and highlights the proactive efforts building owners are taking to adopt advanced technologies. There is an increased understanding that buildings operate more effectively when different building systems are connected As smart buildings continue to evolve, more facilities are beginning to explore opportunities to advance their own spaces. A complete overhaul of legacy systems is not necessary as small investments today can help position a facility to more easily adopt technologies at scale in the future. As a first step, it’s important for building owners to conduct an assessment and establish a strategy that defines a comprehensive set of requirements and prioritizes use-cases and implementations. From there, incremental investments and updates can be made over a realistic timeline. Q: What is the ROI of smart buildings? Lisa Brown: As demonstrated by our survey, there is an increased understanding that buildings operate more effectively when different building systems are connected. The advanced analytics and more streamlined data that is gathered through systems integration can provide the building-performance metrics to help better understand the return on investment (ROI) of the building systems. This data is used to better understand the environment and make assessments and improvements overtime to increase efficiencies. Moreover, analytics and data provide valuable insights into where action is needed and what type of return can be expected from key investments. Cloud platforms and applications are becoming prevalent across security solutions. In the simplest terms, cloud systems store and access data and programs over the Internet instead of using an on-premises computer server. The cloud is a metaphor for the Internet. This technology helps security integrators provide managed services and the advantages of off-site systems and services to customers, which is why cloud computing is often mentioned among the 'megatrends' in the physical security industry. Here is part one of our Cloud Security series. Cloud Computing The way users purchase services and products is changing in all walks of life, including the physical security market. The traditional concept of buying and owning a product is giving way to the idea that it is possible to purchase the services it offers instead. Data capture form to appear here! This approach has come from the consumer realization that the outcome is more important than the tools to achieve it. For example, this approach is evident with the rise of music streaming services as opposed to downloads or physical products. And it coincides with a rise in cloud computing. The cloud is a metaphor for the Internet and the way users purchase services and products is changing in all walks of life, including the physical security market With the physical security industry becoming ever more integrated – and truly open systems now a reality – there is every reason to assume this service-led trend will come to dominate the way our industry interacts with its clients as well. Customer choice equates to a change of focus and interest, with physical products being eclipsed by the benefits of the overall solution. Cloud-based services put the onus on the result rather than which device the user chooses. There are benefits for security providers too. Rather than simply 'shifting boxes' and enduring the inevitable sales peaks and troughs this creates; Security as a Service (SaaS) sales allow manufacturers and installers to enjoy a more stable business model. Cloud-Based Solutions Will Have Large Impact “Cloud-based solutions will continue to have a large impact across the security industry in 2019,” says Fawzia Atcha, Vice President, Imron Corp., one of our Expert Panelists. “We saw this trend dominate product offerings in the home security market throughout 2018. We expect the commercial and industrial markets to move in this direction as well, thanks to customer demand." More and more businesses are realising that leveraging the cloud is the most efficient way to solve emerging challenges" "End users are looking for more streamlined experiences, opting for applications that can be accessed remotely from mobile devices as opposed to desktop software or through a server. Dealers and integrators are seeking to increase recurring monthly revenue through managed services to drive their bottom line. These are just some of the factors driving strong adoption of hosted and web-based cloud solutions.” “More and more businesses are realizing that leveraging the cloud is the most efficient way to solve emerging challenges,” says Ron Virden, Chief Operating Officer, ACRE, LLC, another Expert Panelist. “Cloud-based applications offer significant financial savings by enabling more cost-effective scaling, as well as a reduction in hardware maintenance and management costs, more resilience, ease of mobile support, flexibility, and greater user experience.” Integrators are adjusting business models to leverage cloud-based solutions and there has been a rise of cloud-based products and offerings Accessibility, Infrastructure And Management Wayne Jared, VP Engineering of 3XLOGIC, Inc., another Expert Panelist, lists three features of cloud-based SaaS that are the most valuable: Eliminating the need for internal infrastructure, and thus upfront costs and long-term maintenance issues; Allowing “experts” to manage the environment and take the burden off stretched or non-existent IT staff; Accessibility from anywhere for ease of use with higher-level security. There has been a rise of cloud-based products and service offerings that security integrators have access to. While a few key players have offered cloud-based solutions for a couple of years, on the video side in particular, now the cloud is really picking up steam across all other security and life safety solutions. As a result, integrators are adjusting their business models to leverage these cloud-based solutions into recurring revenue models as managed security service providers (MSSP). Part two, coming soon. Terrorism is among the more unyielding security threats worldwide, but a report on global terrorism from the Institute for Economics & Peace, Sydney, Australia, provides reason for optimism, especially outside the world’s terrorism hot spots such as Iraq and Afghanistan. Europe is the region with the biggest improvement from the impact of terrorism and has recorded a marked fall in terrorist activity. The number of deaths in Western Europe fell from 168 in 2016 to 81 in 2017. Turkey, France, Belgium, and Germany recorded the most significant falls, with only the United Kingdom, Spain, Sweden, Finland, and Austria registering increases. As a whole, deaths from terrorism fell for a third consecutive year, after peaking in 2014. Bombings and armed assaults have been the most common form of terrorist attack every year for the past 20 years. Ranking Countries Based On Impact Of Terrorism The Global Terrorism Index (GTI) was developed in consultation with the Global Peace Index Expert PanelThis article excerpts some of the insights from the Institute for Economics & Peace’s report Global Terrorism Index 2018: Measuring the Impact of Terrorism. The Institute for Economics & Peace (IEP) is an independent, non-partisan, non-profit think tank dedicated to shifting the world's focus to peace as a positive, achievable, and tangible measure of human well-being and progress. The report ranks individual countries based on their impact from terrorism. The Global Terrorism Index (GTI) was developed in consultation with the Global Peace Index Expert Panel. The GTI scores each country on a scale from 0 to 10; where 0 represents no impact from terrorism and 10 represents the highest measurable impact of terrorism. Countries are ranked in descending order with the worst scores listed higher in the index. The United Kingdom scored 5.610 on the GTI scale, up seven spots in the ranking to No. 28. By comparison, the United States scored 6.066 (up 12 spots to rank No. 20), France scored 5.475 (ranked at No. 30) and China scored 5.108 (ranked at No. 36). Fall In Deaths But Rise In Terrorist Incidents Twenty-one countries in Europe recorded improvements on their GTI score in 2017, with 11 registering deteriorations in their scores. The impact of terrorism fell for the region on average. Europe recorded the largest percentage decrease in deaths from terrorism of any region in the world in 2017, with total deaths falling by 75 per cent. In Western Europe, deaths from terrorism fell by 52 percent, from 168 in 2016 to 81 in 2017 In Western Europe, deaths from terrorism fell by 52 per cent, from 168 in 2016 to 81 in 2017. From January until October 2018, fewer than 10 deaths were recorded in the region. Despite the fall in deaths, the number of terrorist incidents increased to 282 in Europe in 2017, up from 253 in the prior year. Furthermore, eight countries in Western Europe recorded at least one death from terrorism in 2017, the highest number in the past 20 years. 27% Decrease In Total Number Of Deaths At the top of the global ranking, No. 1 is Iraq (which scored 9.746 and accounted for 25 percent of the deaths from terrorism) and Afghanistan is No. 2 (with score of 9.391 and representing 23 percent of deaths). The rest of the Top 5 countries are Nigeria, Syria and Pakistan. Iraq recorded over 5,000 fewer deaths from terrorism in 2017, while Syria recorded over 1,000 fewer deaths The total number of deaths from terrorism fell by 27 per cent between 2016 and 2017, with the largest decreases occurring in Iraq and Syria. Iraq recorded over 5,000 fewer deaths from terrorism in 2017, while Syria recorded over 1,000 fewer deaths. The fall in deaths was reflected in scores on the GTI, with 94 countries improving, compared to 46 that deteriorated. Extremism Linked To Ex-Criminals There is a growing body of evidence that indicates people in Western Europe with a criminal background may be especially susceptible to alignment with extremist beliefs, radicalisation, and possible recruitment by terrorist groups, according to the report. Extremists groups provide a ‘redemption narrative’ for alienated young people with a criminal background, while also allowing them to use their illicit skills and networks. Most of the studies conducted in Western Europe find that more than 40 per cent of foreign fighters and those arrested for terrorist activity have some form of criminal background. This pattern of recruitment is of particular concern for countries in Western Europe, with the number of returning foreign fighters expected to grow in the years ahead as ISIL continues to crumble in Iraq and Syria, say the researchers. Increase In Far-Right Political Terrorism Elsewhere, the threat of far-right political terrorism is on the rise. There were 66 deaths from terrorism caused by far-right groups and individuals from 113 attacks for the years from 2013 to 2017. Of those, 17 deaths and 47 attacks occurred in 2017 alone. The majority of attacks were carried out by lone actors with far-right, white nationalist, or anti-Muslim beliefs In Western Europe, there were 12 attacks in the United Kingdom, six in Sweden, and two each in Greece and France. In the United States, there were 30 attacks in 2017 which resulted in 16 deaths. The majority of attacks were carried out by lone actors with far-right, white nationalist, or anti-Muslim beliefs. The GTI is based on the National Consortium for the Study of Terrorism and Responses to Terrorism (START) Global Terrorism Database (GTD), the most authoritative data source on terrorism today. The GTI produces a composite score so as to provide a ranking of countries on the impact of terrorism. The GTD consists of systematically and comprehensively coded data for 170,000 terrorist incidents. Cybersecurity has become a major element – and a major source of discussion – in the physical security marketplace as a result of the rise in networked systems. And we may still not be talking enough about cybersecurity. Here is part one of our Cybersecurity series. “Cybersecurity requires everyone in the security industry to be playing offense and defense at the same time, every single day,” says Bill Bozeman, President and CEO of PSA Security Network. “It needs to just become part of the standard conversation when we are talking about physical security because they are so intertwined.” Creating New Industry Leaders Cybersecurity and physical security can be seen as two parts of a single entity, and increasingly the two will be combined at the enterprise level over the next several years. “This convergence of physical security and cybersecurity will create new industry leaders that will emerge to lead a new segment of the combined market through strong investment and leadership,” says Rob Lydic of ISONAS, now part of Allegion. Data capture form to appear here! Cybersecurity issues dominate almost every discussion in today’s physical security industry, and the clear message is that “manufacturers and integrators must continue to create robust and scalable cybersecurity offerings to protect customer data and facilities,” says Lydic. He contends that cloud services providers (such as ISONAS) are more cybersecure and reliable ‘by orders of magnitude’ than non-cloud solutions. Cybersecurity is linked to cloud-based systems and managed security service provider models Cloud-Based Services The Security Industry Association (SIA) has listed cybersecurity as one of 2019’s ‘Top Megatrends’ in the physical security market. SIA says it is important to prioritize cybersecurity among security businesses, for customers’ businesses, and for vendors. The trend calls for continual process improvement and investment. Bill Bozeman of PSA Security Network agrees: “Cybersecurity has definitely taken a strong foothold in the industry.” With the continued expansion of cloud-based services, cybersecurity will be more important than ever to integrators, manufacturers and end users alike, he says. Notably, cybersecurity is directly linked to two other important industry trends listed by Bozeman: cloud-based systems and the rise in recurring monthly revenue (RMR) and managed security service provider (MSSP) models, whose focus will include cybersecurity. Loss Prevention Executives The days when cybersecurity was exclusively the domain of the information technology (IT) department are gone. “Cybercrime is one of the biggest threats organizations of all sizes and types face today,” says Michael Malone, CEO of ADT Cybersecurity (formerly known as Datashield). “Considering the magnitude of these crimes, it now falls on the entire organization, including the traditional security or loss prevention executives, to band together to combat these threats.” Cybercrime is one of the biggest threats organizations of all sizes and types face today Malone favors (and his company offers) a managed detection and response (MDR) service, which combines advanced technology and human analysis. Using packet capture on the network, an MDR analyst can ‘replay’ a cyber security event and dig deeper into the incident and determine remediation steps. It’s an approach that significantly cuts through false positive ‘noise’ so security teams can focus on what matters. Helping Security Officers Interestingly, cybersecurity is poised to benefit from another major trend in the physical security market – the rise of artificial intelligence. Specifically, machine learning applications for cybersecurity include: detecting malicious activity, helping security officers determine what tasks they need to complete in an investigation process, analyzing mobile endpoints, decreasing the number of false positive threats, automating repetitive tasks like interrupting ransomware, and potentially closing some zero-day vulnerabilities. But AI in this case is not a panacea. Christopher McDaniels of Mosaic451 recommends pairing human intellect with machine technology to sort through data faster and catch hackers before they do much damage. Part two of our Cybersecurity series coming soon. Customer Located in the Meadowlands and part of the MetLife Sports Complex in East Rutherford, New Jersey, MetLife Stadium is home to the New York Football Giants and the New York Jets. The $1.6 billion stadium was financed and built by a joint venture between the two teams, who operate it through the New Meadowlands Stadium Company. The stadium opened in April 2010 and boasts a seating capacity of 82,500, making it one of the NFL's largest stadiums. On February 2, 2014, MetLife Stadium played host to Super Bowl® XLVIII. Challenge MetLife Stadium wanted to replace 26 IP cameras located at the perimeter gates of the stadium and also to deploy 180° panoramic-view cameras in place of the 27 pan-tilt-zoom (PTZ) cameras that covered the exterior perimeter. Given the large crowds they attract, each football game, concert or other event has its share of unique challenges, including monitoring fan conduct, crowd management situations and dealing with medical emergencies. MetLife Stadium's main goal in upgrading its surveillance system was to ensure a safe, secure environment that would contribute to a memorable guest experience. Incident prevention and monitoring were additional key goals of the project. MetLife Stadium staff members are challenged with trying to determine what happened after an incident occurred. There are often various versions and accounts from those involved and from independent witnesses. Clear recorded video is needed to reveal what actually happened. Prior to the new camera system being installed, MetLife Stadium used four PTZ cameras to monitor the seating bowl area and these cameras were only used reactively when an incident came to the attention of the stadium's Command Center. With the new camera system, every seat in the seating bowl is monitored at all times. Being able to have their Command Center personnel go back in time and review everyone’s actions is an extremely valuable investigative tool for stadium security personnel and for public safety agencies. Among the stadium security management team's other goals are to identify and examine objects left behind, monitor security screening procedures, investigate slip-and-fall incidents, observe staff performance and provide surveillance for counter terrorism efforts. Solution Because MetLife Stadium was designed to be a network-controlled building, IP cameras were part of the original design. When it came time to install cameras to cover the seating bowl, IP was the only platform considered, according to Daniel DeLorenzi, Director of Security for MetLife Stadium. "To run an analog system would have been cost-prohibitive due to cabling, and the cables would be single-purpose. If upgrades were necessary, the project would have to be completed all over again," DeLorenzi said. The excellent image quality provided by the Arecont Vision megapixel cameras makes it possible for stadium security to identify individuals DeLorenzi and the rest of MetLife Stadium's security management team turned to Robert McCabe, owner of Corporate Security Services, Inc., located in Edison, N.J., to assist in selecting IP surveillance components and to design and implement the video surveillance solution. After a careful evaluation process, an optimal surveillance solution was built around megapixel imaging technology from Arecont Vision to ensure wide area coverage with extreme detail and to enable forensic zooming on live and recorded video. Corporate Security Services deployed more than 130 Arecont Vision megapixel cameras throughout MetLife Stadium, including MegaVideo® Compact 10-megapixel (MP) cameras located around the bowl of the stadium to provide a view of every seat in every section; SurroundVideo® panoramic 8MP cameras provide 180° coverage of entrances and common areas; and MegaDome® 2 3MP cameras with remote focus and wide dynamic range (WDR) are located in the stadium’s security entrance areas. Arecont Vision WDR cameras provide detailed video where bright and dark images exist in the same scene. The Arecont Vision megapixel cameras are controlled using Genetec Security Center, a unified video management system (VMS) which is monitored by a centralized security command center within the stadium. Arecont Vision worked with Corporate Security Services' designers to provide a layout of the camera locations required to cover the area, which McCabe says helped with the installation. In the end, all the cameras were installed in easily accessible and serviceable locations. Megapixel Benefit Because of the high level of detail it provides, one Arecont Vision SurroundVideo panoramic camera covers the same area as multiple IP VGA resolution cameras. By using Arecont Vision cameras to reduce overall camera counts, MetLife Stadium’s security team was able to achieve its goal of implementing an unobtrusive high-performance video surveillance system. With a reduction in the total number of cameras implemented, the system can be more efficiently managed. MetLife Stadium's policy is to initiate real-time recording 24-hours prior to game day, at which time every camera within the stadium is recorded at its full frame rate. Incidents are recorded prior to, during and for several hours after a game or other event. This allows the security staff to easily search and play back detailed video of any reported incidents from any of the cameras to determine what happened. Because of the high level of detail it provides, one Arecont Vision SurroundVideo panoramic camera covers the same area as multiple IP VGA resolution cameras The excellent image quality provided by the Arecont Vision megapixel cameras makes it possible for stadium security to identify individuals, and the high frame rates allow them to see actions that occur. Additional benefits of the Arecont Vision cameras include Day/Night video capabilities where mechanical infrared (IR) cut filters are used for clear images in low light, H.264 compression to reduce network and storage costs and Power over Ethernet (PoE) to reduce cabling costs. Arecont Vision MegaVideo Compact series box cameras are available in 1.3MP to 10MP resolutions with features that include dual H.264/MJPEG encoding, fast frame rates, privacy masking, pixel binning to increase light sensitivity in 3MP, 5MP and 10MP models, extended motion detection grid, flexible cropping and PoE. They are available in color and Day/Night configurations. SurroundVideo series megapixel cameras from Arecont Vision are all-in-one 180° and 360° panoramic solutions that are available in 8MP, 12MP WDR, 20MP and 40MP resolutions. Housed in environmental rated IP66 domes, the units feature dual H.264/MJPEG encoding, true Day/Night functionality, IR corrected megapixel lenses, privacy masking, extended motion detection, bit rate control, binning mode to increase light sensitivity in 12MP, 20MP and 40MP models, fast image rates and WDR in 12MP models. Arecont Vision MegaDome 2 all-in-one cameras with remote focus and remote zoom are available in 1080p, 3MP, 5MP and 10MP resolutions. Features include an IP66-rated / IK-10 impact-resistant dome chassis with a 3-axis camera gimbal for easy adjustment, dual H.264/MJPEG encoding, integrated megapixel vari-focal lens, optional WDR in 1080p and 3MP models, pixel binning in 3MP, 5MP and 10MP models, total PoE and optional IR illumination, audio functionality and heater kit. Background Delivering the future of guarding through technology and expertise The emergence of high-tech virtual guarding as a powerful and cost-effective alternative to traditional manned patrol approaches is a direct realization of the promise seen in the industry’s most innovative and high-performing technology. Currently, emergent leaders in the virtual guarding space are those who successfully leverage guarding and security expertise and match it with the right technology to move beyond mere “remote monitoring” to true, comprehensive virtual guarding. The Arizona-based Surveillance Acquisition Response Center (SARC) has quickly staked out a place of leadership in the virtual guarding space—with its exclusive use of highly-trained security professionals with extensive law enforcement, military, and security technology background as operators—to deliver a pro-active guarding solution that leverages critical expertise and carefully cultivated relationships with clients and local law enforcement. This provides a second-to- none virtual guarding experience with an unsurpassed track record. When SARC needed a technology standard to power their virtual guard operations, they turned to IDIS for technology that is as powerful, reliable, and innovative as SARC itself. Challenges Next-generation security requires next-generation technology In the constantly evolving and progressing security market, it’s essential to deliver solutions that deliver a wide range of customizable options for solutions of any size, scope, or circumstance, while also keeping both the installation and user experience streamlined and simple for installers and operators. When selecting a technology standard for their virtual guarding operations, SARC needed simple IP configuration, while maintaining third party IPC support, to accommodate installers who had grown accustomed to analog installation methodologies. Maximizing flexibility to cater to each of their client’s needs was also a priority and any solution had to have surveillance components that were scalable, ONVIF® compliant, and were compatible with a wide range of third party products in order to build off of existing analog installations while still reaping the benefits of HD quality. Finding highest quality solutions with low maintenance requirements and no licensing fees—and resulting lower total cost of ownership for end users—was another requirement for SARC. Solution - IDIS DirectIP IDIS technology as a flexible and powerful force multiplier SARC leverage guarding and security expertise and match it with the right technology to provide comprehensive virtual guarding IDIS technology proved a perfect match for SARC. DirectIP™ is an optimized HD surveillance platform based on an IP framework consisting of a complete range of IP cameras, network video recorders (NVRs), network equipment, and client software, all offered as a complete package or available as individual, optimized components. The simple plug-and-play functionality and automatic network detection of DirectIP made the entire surveillance system quick and easy to set up for SARC’s installer partners, and centralized functionality allowed every IP camera to be installed without the need for individual configuration. The IDIS “future proof” guarantee further met SARC’s needs by guaranteeing backwards compatibility with future IDIS surveillance components, eliminating security vulnerabilities that come with hiccups in future system upgrades. The powerful video management software (VMS) options offered by IDIS also allowed SARC to provide its clients with a flexible and cost effective surveillance virtual guarding solution. IDIS Center is a completely license-free VMS, with no upgrade charges or annual fees, and, for more specific or complicated requirements, IDIS Solution Suite provided a powerful modular functionality, affordably customizable to any user need. Near identical user interfaces between IDIS Center, IDIS Solution Suite, and IDIS Mobile simplified the user experience and reduced training requirements for SARC’s operators, allowing more time for a laser focus on client needs and not wrangling technology. Results And Benefits Industry-leading surveillance technology that delivers for operators and clients alike Partnering with IDIS allows SARC to effectively meet the needs of their clients, decreasing costs while increasing reliability, functionality, and their own operators’ positive user experience. IDIS technology offers a level of simplicity and ease of use that has reduced installation times, decreased training requirements for clients and SARC operators alike, and helped make SARC’s security solutions for clients more affordable over the long term. The uncomplicated, intuitive nature of IDIS technology better allows SARC operators to focus wholly on delivering world-class virtual guarding to their clients. “IDIS understands that each end user is unique and they design the user interface of their applications in a way that just makes sense to use. The applications team at IDIS understands the concept of how important true UX [user experience] is and they apply it to their entire product lineup. IDIS Center and IDIS Solution Suite are so intuitive that we haven‘t had a single client contact us after their initial training for technical support.” said San Kim, Director of Operations, SARC Monitoring. ISC West 2019 is in the industry’s rear-view mirror, and what a show it was! The busy three days in April offered a preview of exciting technologies and industry trends for the coming year. We asked this week’s Expert Panel Roundtable: What was the big news at ISC West 2019? Ethical hackers are familiar to the world of cybersecurity. As cybersecurity awareness increases in physical security, they are also playing a larger role to ensure the safety of networked and information technologies used in our market. We asked this week’s Expert Panel Roundtable: What is the role of ‘ethical hackers’ to ensure cybersecurity of networked products in the physical security market?